Car battery giving problems? 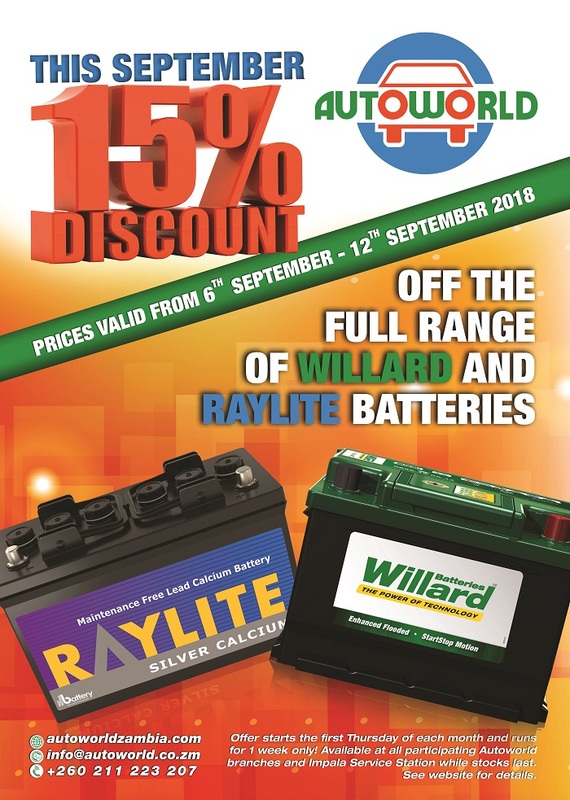 You'll be glad to hear that September's Autoworld offer is a full 15% off all Willard and Raylite batteries! Offer open while stocks last, for one week only - from Thursday September 6th 2018. 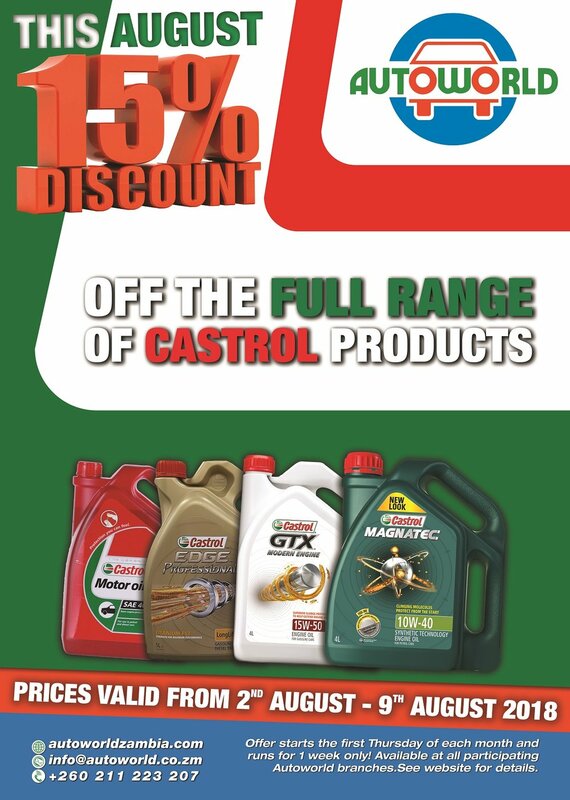 Announcing this month's Autoworld offer - a generous 15% off Castrol world class motor oils. Maybe it's time to top up, or get yourself an oil change?! Offer open while stocks last, for one week only - from Thursday August 2nd 2018. What better time to get your car serviced? We're offering a generous 15% off all GUD filters AND Safeline brake pads. While stocks last, for one week only - from Thursday July 5th 2018. Enjoy a smooth ride and reduce wear and tear! Take advantage of this offer on the full range of shock absorbers: KYB, Monroe, TJM, and many other assorted brands. Prices valid 4 May - 10 May 2017. 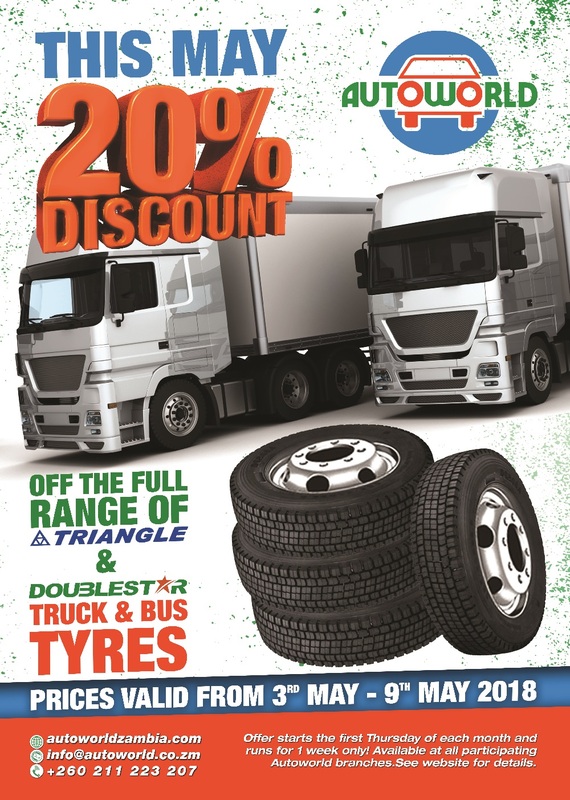 Throughout the year, on the first Thursday of each month we're offering our customers money saving deals with our Monthly Specials. Prices are valid for that whole week – ending on the following Wednesday. 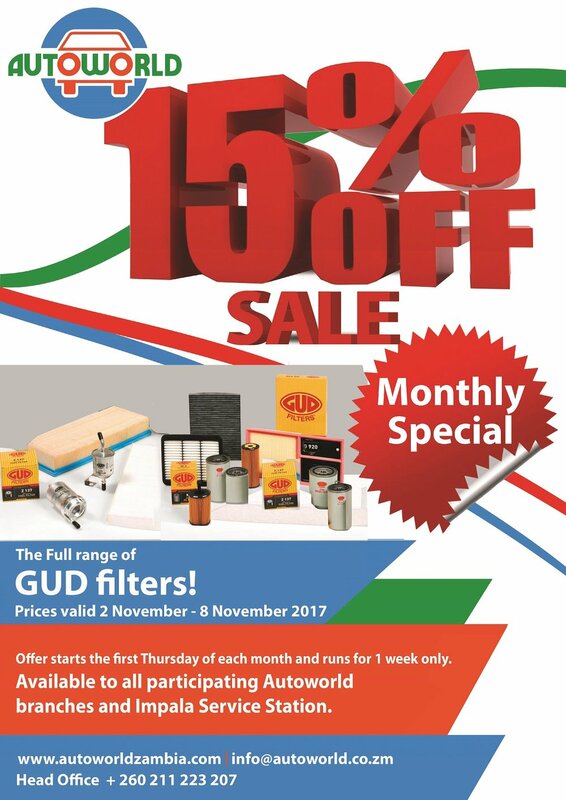 This month take advantage of our Monthly Specials with 15% off our full range of GUD filters. This offer starts today, Thursday 5th January 2017 and prices will be valid until Wednesday 11th January 2017. 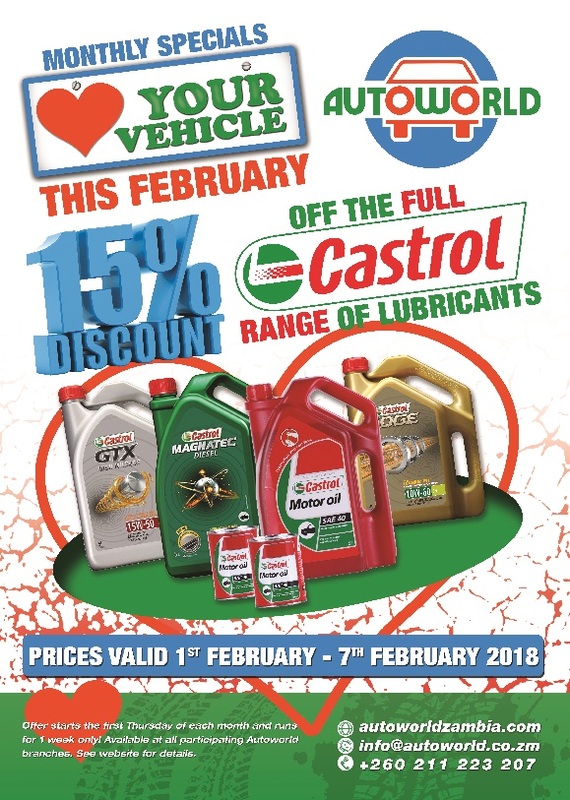 This offer is available at all participating Autoworld branches and Impala Service Station while stocks last. Call your nearest branch for further details - contact details are given here. Be sure to check back next month for more Monthly Specials! 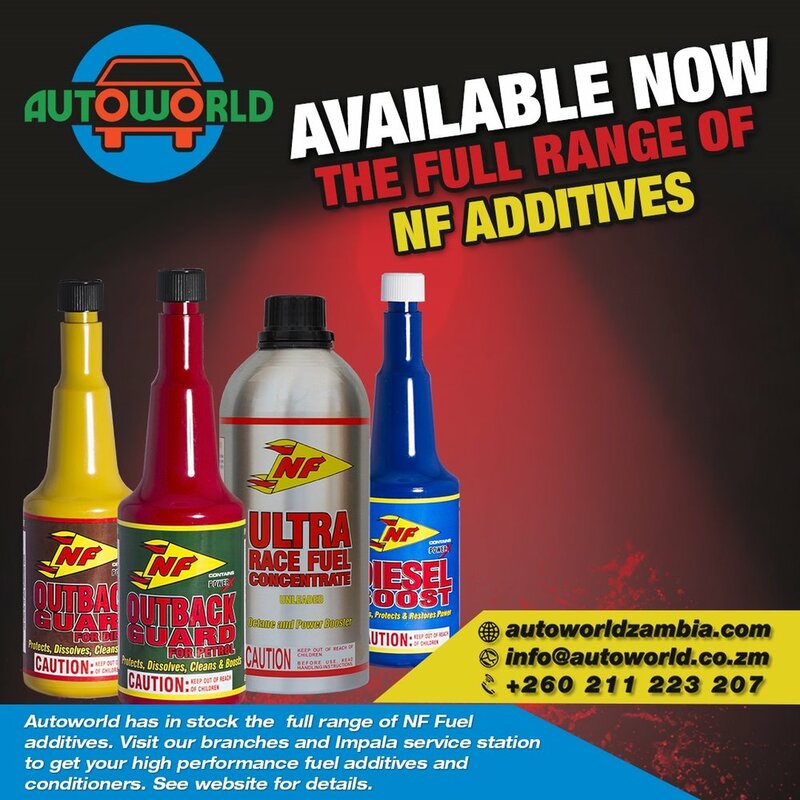 Earlier in the year, Autoworld Zambia was awarded a 'Most Valued Distributor' certificate by GUD FIlters, the leading automotive filter brand in South Africa. 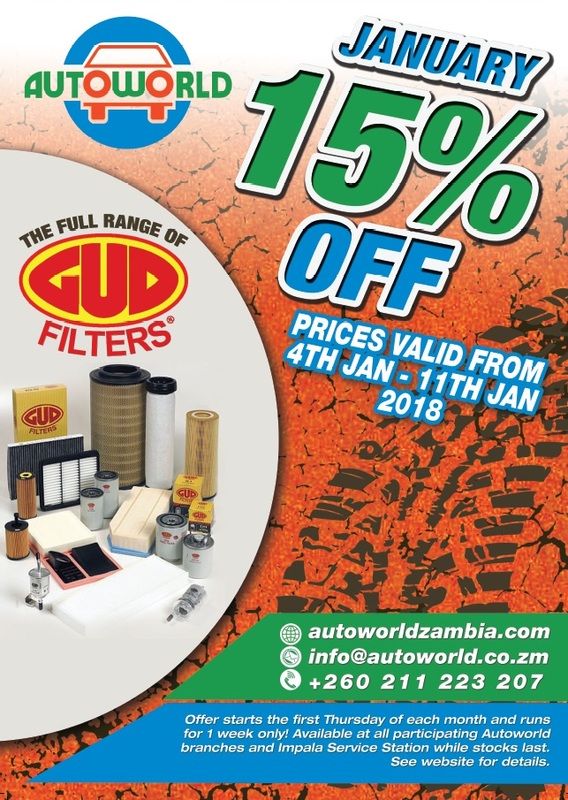 You have just seven days to get 15% off the full range of GUD filters - available while stocks last at all participating Autoworld branches and Impala Service Station. Autoworld recently organised some product training for its staff. On 12 July, Holts professional David Phiri ran a training session for our salesmen, fitment centre staff and warehouse staff. Established in 1919, Holts is a global leader in the manufacture of superior car care products, for improved performance, appearance, repair and maintenance. Participants were advised to encourage customers not to go for cheap brands but choose the professionally-developed Holts products stocked by Autoworld. Autoworld staff were grateful to management for organising this excellent training event in co-operation with Holts, to give them more knowledge to serve customers even better.